Why I don’t like Atul Gawande. There was a kid at school that reminds me of Atul Gawande; he was good at cricket, good at rugby, really, REALLY clever and worst of all, everyone really liked him. 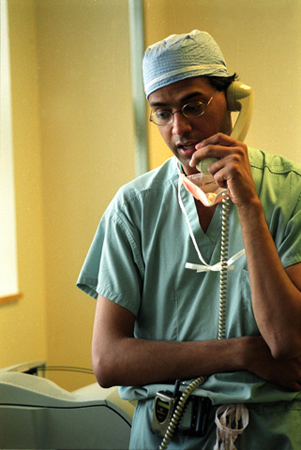 Atul Gawande is, according to his own website, “surgeon, writer, and public health researcher, practising general and endocrine surgery at ” blah blah blah. You can read it for yourself here because he is ALSO lots and lots of other things not the least a prolific and excellent writer. I’m sure he is also really nice and everyone loves him and he’s a delight to be with and an amazing lover and… and you know why i REALLY don’t like him? Because I think he’s right about most things he writes about and that just makes me uncomfortable. Harsh eh? I’m not going to go through everything he has written, as there’s a lot and that would probably just wind me up even more. Suffice to say he was right about improving patient safety, right about adverse events and right about a lot of surgical education. I do have issues about some of the surgical training remarks but that is the American rather than UK standpoint which makes a big difference. So the point of this little post is to highlight the wunderkid’s (he’s two years younger than me) latest piece “Coaching a Surgeon“. In this flowingly written and erudite piece he correctly points out that whilst the majority of highly skilled, technical professionals in sport and music have coaches, in surgery where, despite the teasing of our anaesthetic colleagues, we are actually pretty skilled technicians yet none of the senior staff have coaches to help us continue to progress and further excel. We may improve to a point but such self directed improvement is limited. The reasoning behind this lack of coaching is probably less intricate than we’d like to think but has to do with ego, performance anxiety and the lack of invitation of critique. Why do I not like Atul Gawande? Because he highlights my flaws. Regular/ocassional readers of this blog may wonder at the value of a discussion on development of superior surgical skills within what used to be a blog on clinical leadership. Surgeons strive for perfection in what they do. The means to achieve this are complex and personal but require time, space, resource, reflection and encouragement. The potential results are clear. What is important however is to see beyond having our flaws exposed and see that as a positive thing, a source and opportunity for improvement rather than criticism; the difference between critique and criticism. Where does this fit within the current constructs of clinical leadership and medical management? It resonates with issues of engagement and reward but does not sit clearly in terms of resource planning and efficiency. Improved patient safety is not simply about checklists and mantras but about coaching the star performers and helping them to be the best. Last week I was away visiting a colleague and rather like Saul of Tarsus I had a moment of clarity and understanding as I travelled. Somewhere in the air over the Adriatic as I read, “The Exceptional Manager: Making the Difference” (Delbridge, Gratton and Johnson 2006) I read a paragraph containing the word satisficing. With an explanation of that word came my own, personal, Damascene moment. The concept of bounded reality in philosophy was described by Herbert Simon (1956) to encapsulate the decision making process of an individual faced with a finite amount of time and the limitations of their own knowledge and experience. The decision that is arrived at amounts to necessary simplification of the situation and subsequent interpretation and decision making on the basis of previous experience. The result is seldom optimal but hopefully acceptable. Thus it is held to be a satisfactory, sufficing decision; satisficing. This behaviour is exemplified by the consensus approach of group decision making and also the short-term view of resource management. It is commended by many as an optimal strategy in management. As a surgeon this sort of decision making and behaviour is anathema. What is required in surgical practice is not a “best guess in the time available” approach. Study of all available knowledge of a problem, utilising the combined and continually advancing wisdom of a group on a subject and a set of limited, predictable outcomes allows optimal decision making within a finite amount of time and (hopefully) the best answer. My mistake, changed in a moment of clarity and understanding, is that management practice is not the same as surgical practice; decision making and behaviour in management is necessarily satisficing. Perhaps this exposes my naivety but this after all is a learning journey. Are you as good as you possibly can be?